Binaural beat meditation is hugely popular and has spawned numerous web sites and music CD's. What is the concept behind this phenomena? Binaural beats were discovered in 1839 by Heinrich Willhelm Dove. The concept behind them is that when you play tones through headphones below 1000 HZ where the two tones are less than 30 HZ in difference apart a perceived beating occurs in the brain and this perceived pulse entrains the brain into the various waves (alpha, beta, delta, theta and gamma waves). The theta waves (non rapid eye movement) are the patterns that the brain produces when in the deepest and most relaxing part of a night's sleep and so this is the Holy Grail of binaural beats. So listening to binaural beats can be a perfect precursor to a deep meditation session or can be a meditative exercise in itself. When your brain begins to resonate with the binaural beat meditation or to "follow" the beat, this effect is called the frequency following response. This phenomenon was thoroughly researched and tested in 1973 by biophysicist, Gerald Oster at Mount Sinai Hospital in New York City. His research on binaural beats and the frequency following response was published in Scientific American and paved the way for further development in the area of auditory stimulation to enhance brain functioning. Listening to binaural beats on their own is a little unsettling and so a whole genre of music has arisen where the binaural beats are doing their work in the background and meditation music is layered over the top. 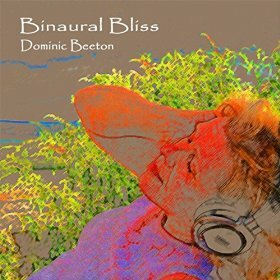 Binaural Bliss is an album by Dominic Beeton which features binaural beats tuned to produce theta wave relaxation. You may be able to detect the slight hum under the tracks or during quiet passages. Get yourself into a comfortable position where you are not going to be disturbed with headphones on and then play the whole album and experience the deep satisfying effect of theta wave meditation. Theta waves have a deep healing effect as well. Do let us know below what you experienced while listening to this album. Click here to download or preview the album. The album is also available for download on iTunes, Amazon, Spotify, Deezer, Tidal, Google Play, YouTube and all the other usual digital channels. Can I listen to binaural beats without headphones? How long does it take for the binaural beats to induce the theta waves? This depends from one person to another but allow at least 5 minutes and see if you are feeling deeply relaxed. Surely, playing music with the binaural beats interferes with its effectiveness? From the research carried out, it would appear that the effectiveness of the binaural beats is not undermined by having other music playing at the same time which is good news because the music also assists with the relaxation process. There are a lot of articles on the internet suggesting that any relaxation effect is caused by the "placebo effect" ie. if you tell people that something induces theta waves, this is the effect because you believe it is effective and it has the desired effect. Is this true? Well, that would imply that you have the ability at will to induce theta wave relaxation which would be pretty impressive. Some say it is the music which accompanies the binaural beats which induces this theta wave relaxation. Well, I would say if that is the case, great. It is still achieving the desired effect and so placebo or no placebo, we still get the same net effect. Bring it on! What is gamma beat binaural meditation? 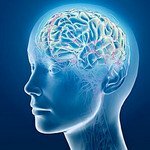 There is some very interesting research in this area and Ryan Hurd has written a fantastic article on the science around binaural beats and he explains all about gamma wave binaural beats.